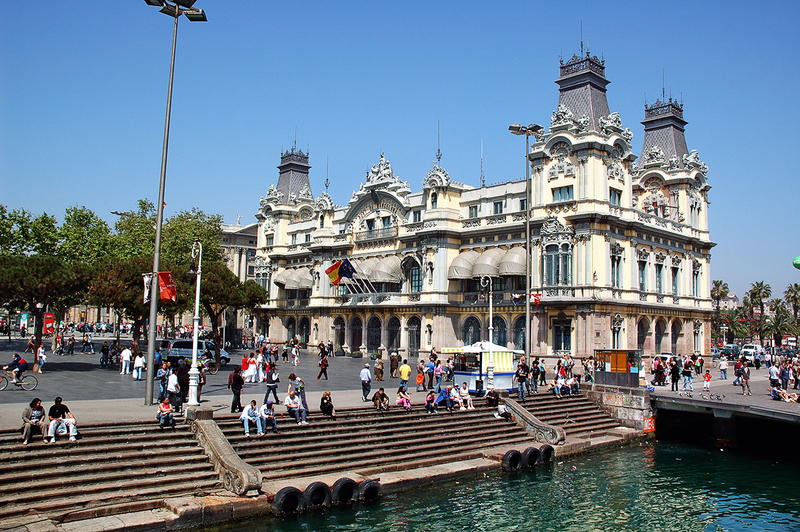 Here is another photo of the Barcelona Customs House building (in Spanish, Aduana). There were other posts featuring this beautiful façade: Barcelona Harbor_Las Golondrinas Sightseeing Boat and Barcelona Harbour Cruise: A City Teaser. The Nova Duana (New Customs house), was built by Enric Sagnier (Barcelona, 1858-1931) together with Pere Garcia i Faria. Sagnier was a prolific architect. Other works of his were the Palace of Justice and the Tibidabo Temple. In all, he built about 30 interesting buildings only in Barcelona. To finish I would like to mention the house El Pinar also known as Casa Arnús, a family house in the middle of a pine woods in Collserola mountain. You can see the lights of this house from Avinguda Tibidabo three times a week (Wednesdays, Saturdays and Sundays) so I recommend you try to spot it if you are in the area.